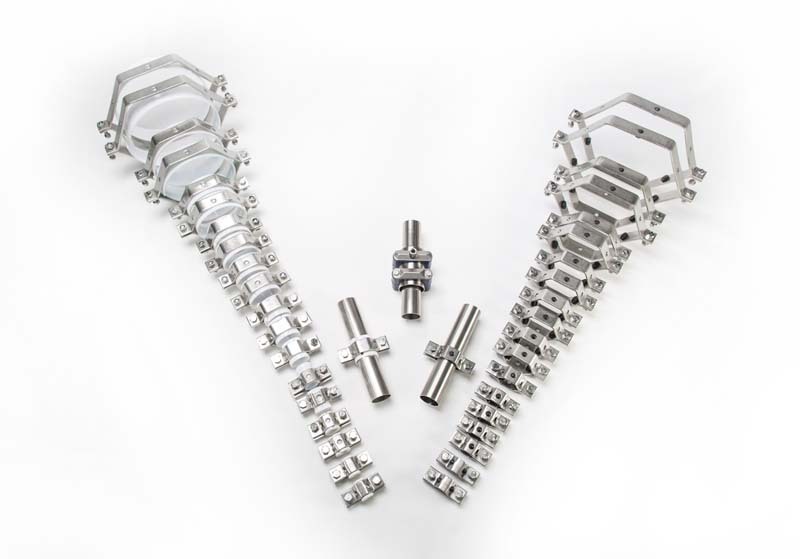 Sanitary Solutions is your source for T304 Sanitary Stainless Steel Tube Hangers found primarily in Bakery, Beverage, Cosmetic, Dairy, Food or Pharmaceutical Industries. Sanitary Solutions stocks T304 1/2" -- 8" OD Tube Hangers with either rubber grommets or PVC sleeves to accommodate your tube and has access to the cast square design of Hangers and supports as well as Tube Hangers with Tube or Pipe Couplings (Threaded Rod Style) and Stainless Steel Wall Flanges in 16 gauge. 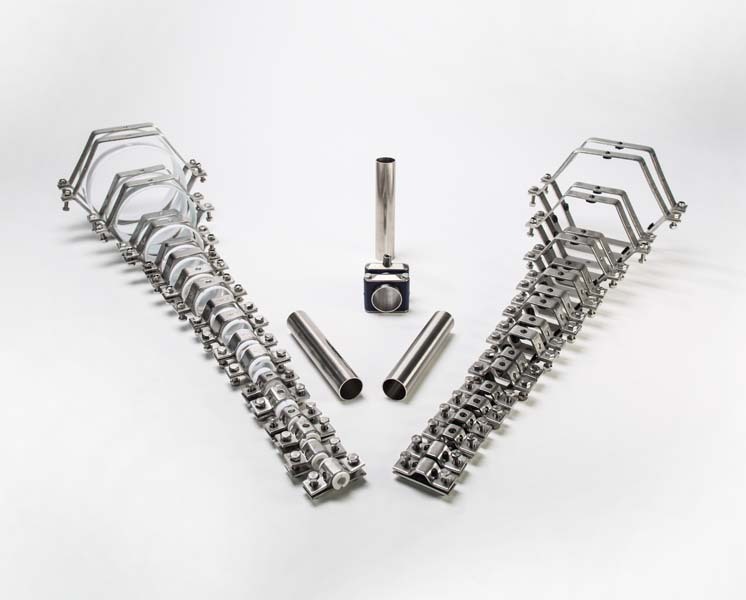 Sanitary solutions has fielded calls for the following harder to find items in the hanger market-- Our team has access to High Temperature Stainless Steel Hangers in T304 from size ranges 1/2"-- 6" to meet either your tube or pipe size. We can supply you with 3/8" or 1/2" Pipe couplings or Rod Couplings and Alcryn or Viton Grommets. We can supply you with other hard to find items such as Tube or Pipe size Stainless Steel U-Bolts in T304 form sizes 1/2"-- 12" and Tube or Pipe size Stainless Steel Wall Flanges (16 Gauge) in T304 from sizes 1/2"-- 12". 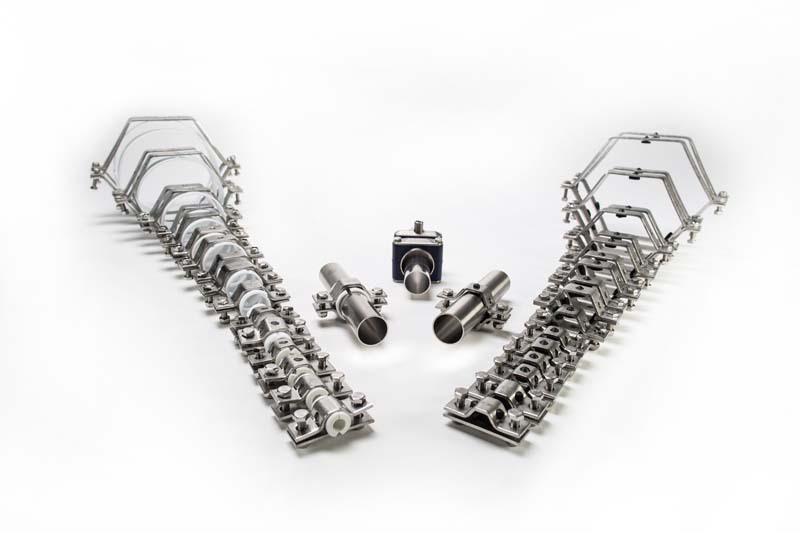 Sanitary Solutions is your source by calling us at 1-888-909-3569 or 1-855-640-7871 for the "NEW 2015 SANITARY SOLUTIONS Catalog " and one stop shop" to combine Sanitary Tubing, Hangers, Fittings, Valves and Accessories for your process needs.